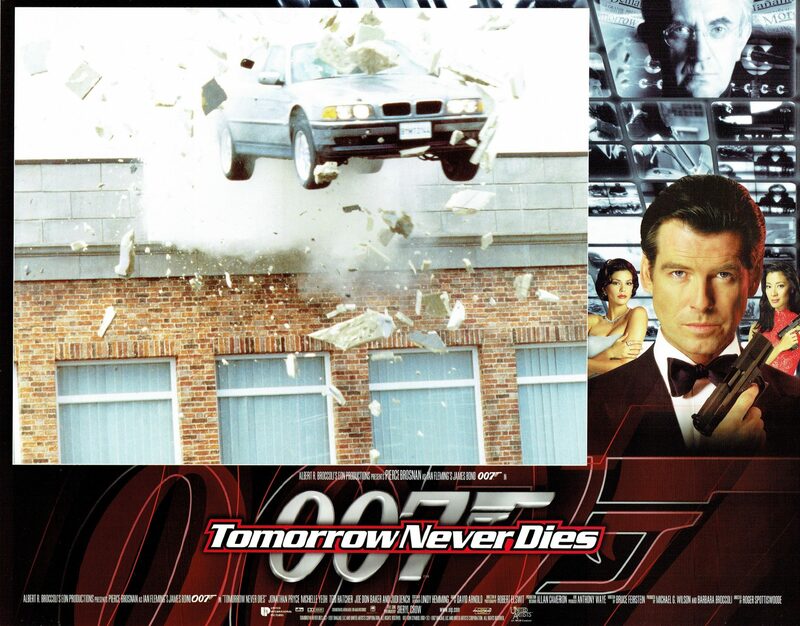 Tomorrow Never Dies was released in 1997 and is the 18th film in the James Bond series. It was directed by Roger Spottiswoode and co-produced by Michael G. Wilson and Barbara Broccoli. It was the first James Bond film made after the death of producer Albert R. Broccoli, to whom the movie pays tribute in the end credits. The screenplay was written by Bruce Feirstein based on the character created by Ian Fleming. 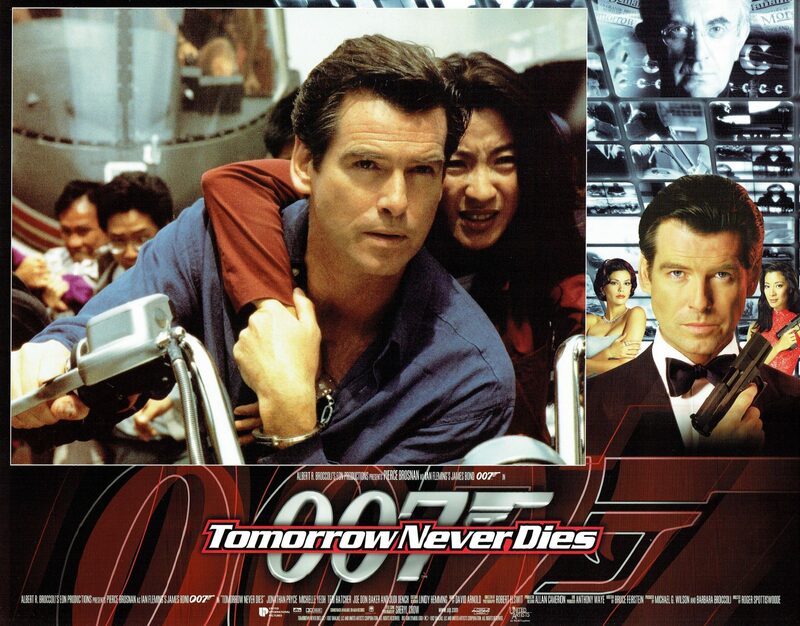 Tomorrow Never Dies stars Pierce Brosnan, Jonathan Pryce, Michelle Yeoh, Teri Hatcher, Joe Don Baker and Judi Dench. 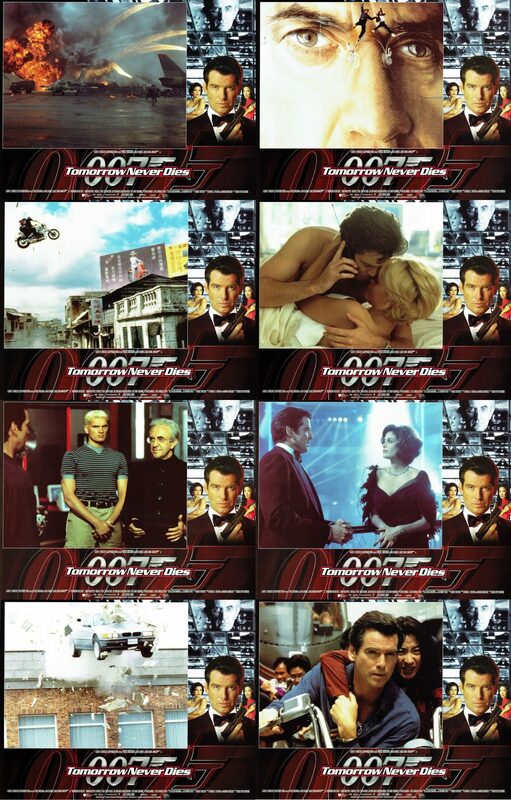 The storyline follows James Bond as he tries to stop Elliot Carver, a power-mad media mogul who plans to induce war between China and the UK in order to obtain exclusive global media coverage. 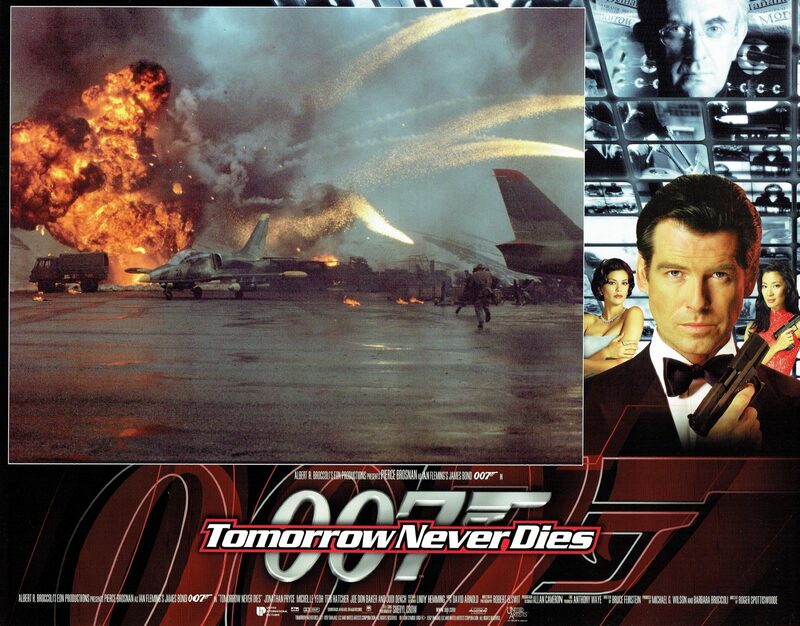 Filming for Tomorrow Never Dies took place at Peyresourde Airport in the French Pyrenees which was the scene for the pre-credits sequence and moved on to Portsmouth to film the scenes where the Royal Navy prepares to engage the Chinese. The producers were unable to use the Leavesden Film Studios, which was specially constructed for GoldenEye, as George Lucas was using it for Star Wars: Episode I – The Phantom Menace, so instead they constructed sound stages in another derelict industrial site nearby. They also used the 007 Stage at Pinewood Studios. The sea landing uses the vast tank built for James Cameron’s Titanic at Rosarito in Baja California, Mexico. Two locations from previous James Bond films were used: Pierce Brosnan and Terri Hatcher’s love scene was filmed at Stoke Park, which had been featured in Goldfinger, and the bay where they search for Elliott Carver’s stealth boat is Phang Nga Bay, Thailand, previously used for The Man with the Golden Gun. 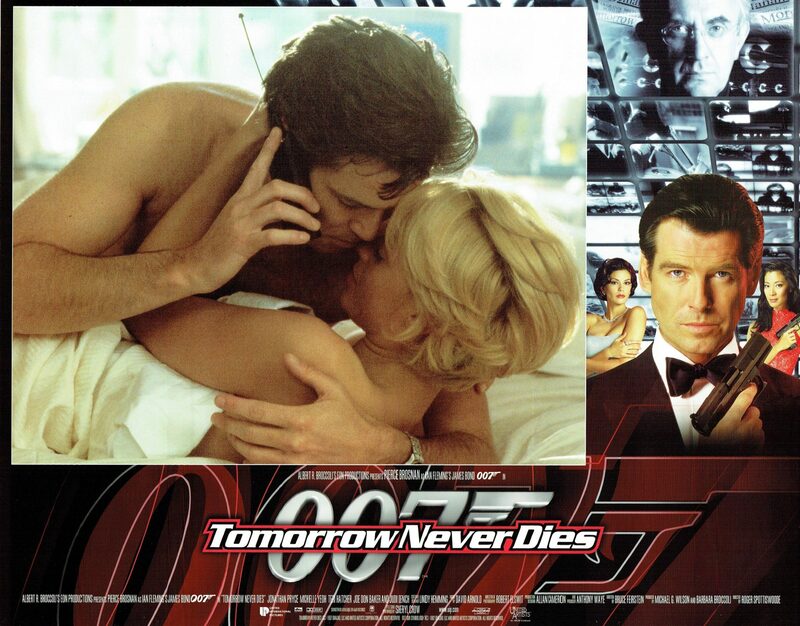 When Tomorrow Never Dies was released it received mixed reviews from the critics. 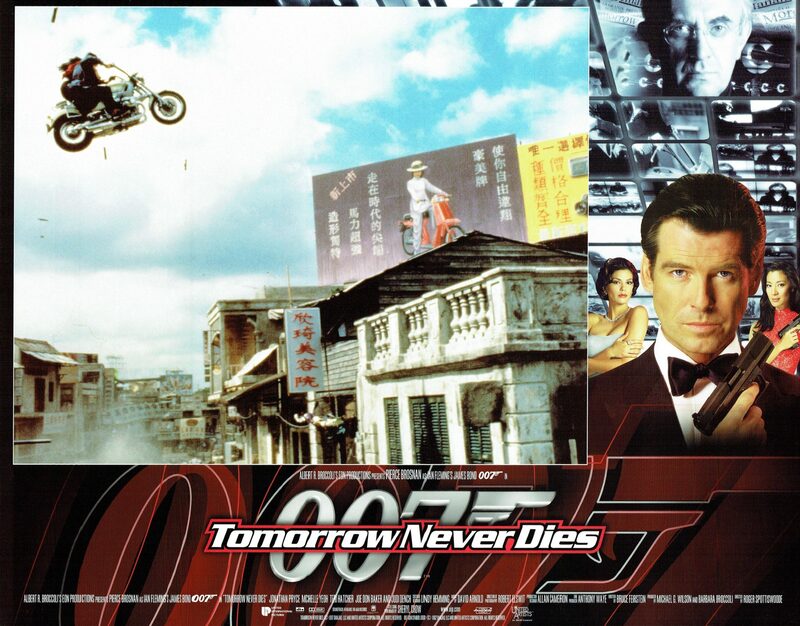 On Rotten Tomatoes it has a 57% rating with the critic’s consensus says, “A competent, if sometimes by-the-numbers entry to the 007 franchise, Tomorrow Never Dies may not boast the most original plot but its action sequences are genuinely thrilling”. 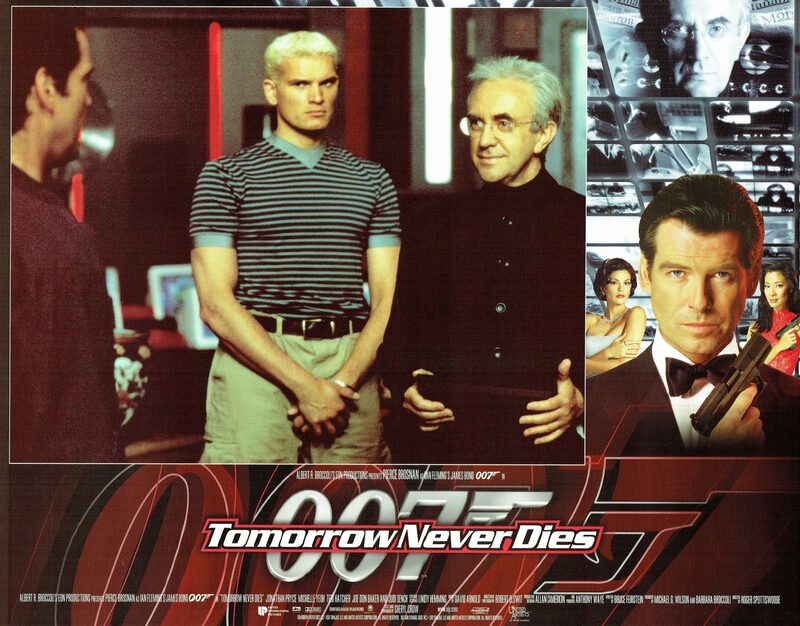 Roger Ebert, gave the film three out of four stars, saying “Tomorrow Never Dies gets the job done, sometimes excitingly, often with style” with the villain “slightly more contemporary and plausible than usual”, bringing “some subtler-than-usual satire into the film”. James Berardinelli described it as “the best Bond film in many years” and said Brosnan “inhabits his character with a suave confidence that is very like Connery’s”. 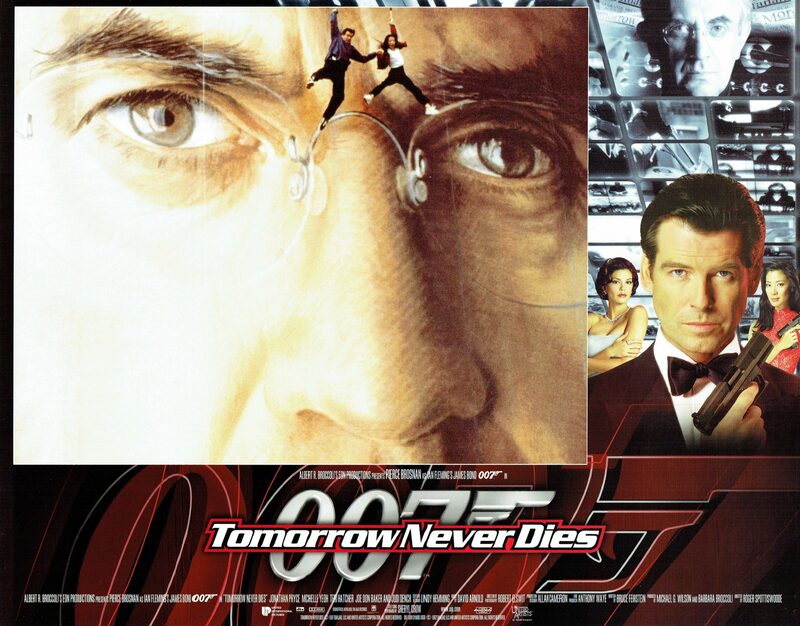 Tomorrow Never Dies was commercially a success having been produced on an estimated production budget of $1100m, it took $25,143,007 in US box office takings in its opening weekend. It went on to take $333,011,068 in gross worldwide box office receipts. It was the only James Bond film to star Pierce Brosnan as James Bond that did not open at the top of the box office, it was beaten to number one spot by Titanic. 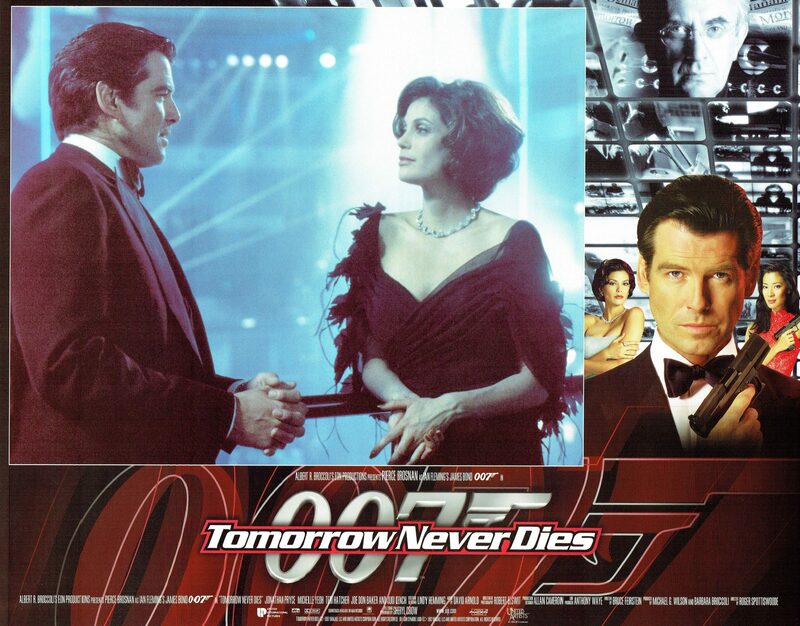 Tomorrow Never Dies was nominated for a Golden Globe for Best Original Song – Motion Picture.